Welcome to Aderyn: the Biodiversity Information and Reporting Database of Local Environmental Records Centres Wales. Here you can access wildlife sightings and species records collated by the four LERCs, covering the whole of Wales. 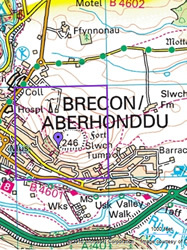 Anyone can use this site to view lists of species recorded around their home or maps showing the distribution of species according to data held by LERC Wales. Partners, recorders and planners can be licenced to access high resolution, detailed records to assist decision making and conservation. Ever wondered what species have been seen near your house, school or workplace? This page allows you to find out! Using the map, you can navigate to the location you are interested in, select a 1km grid square, and return a summary of all species for that square (excluding sensitive species). This page allows you to see where LERC Wales holds records for a specific species or taxon group (eg birds) across Wales? Select a species or an entire taxon group and display a 10km distribution map, then select a 10km square and see a 1km distribution map (excluding sensitive species). If you are authorised to access restricted areas of this site, enter your email address and password to login. Forgotten your password? We are always delighted to receive data from local wildlife recorders, and each LERC has their own online recording tool for this purpose. Please click on the links below to be taken to the relevant recording page. 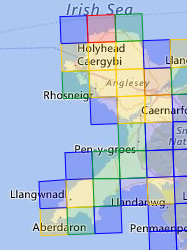 If you are unsure which LERC you live in, please use the Find Your Local Environmental Records Centre tool on the LERC Wales website. If you have a large amount of data, or prefer to submit records in another format, please contact the relevant LERC to decide the best method of submission. Alternative methods include Excel, MapMate and paper formats.